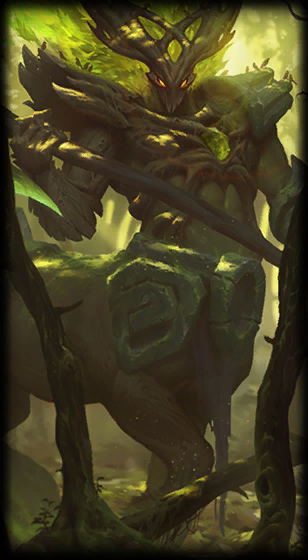 Following her champion reveal, our next champion Illaoi, the Kraken Priestess, is now on the PBE for testing! You may remember her from the recent Shadow and Fortune story! During her stay on the PBE, feedback for Illaoi's gameplay can be left here and bug reports for Illaoi can be left in this thread. 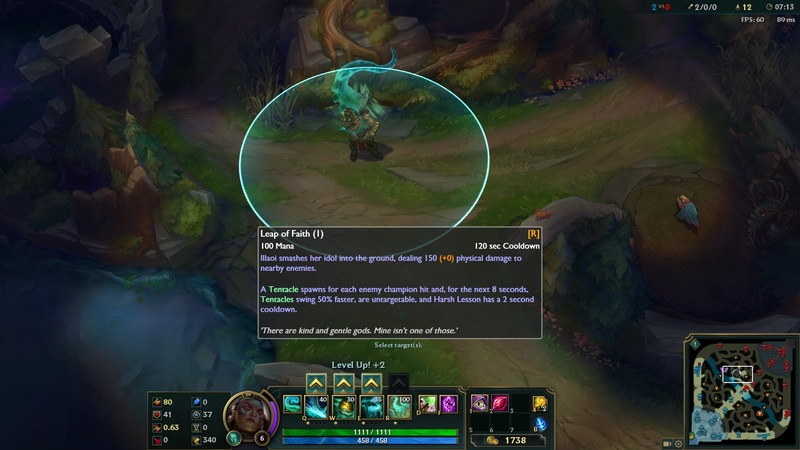 interact with Illaoi's abilities and last until killed or if dormant for 1 minute. 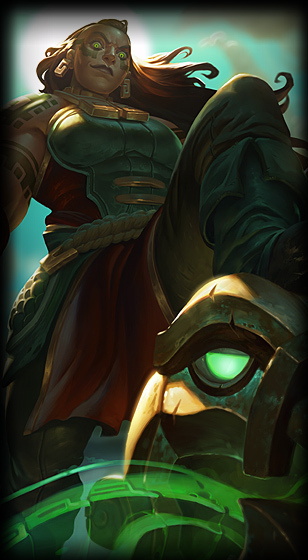 Active: Illaoi smashes down a Tentacle, dealing [10 x level] (+1.2/1.3/1.4/1.5/1.6 total AD) physical damage. 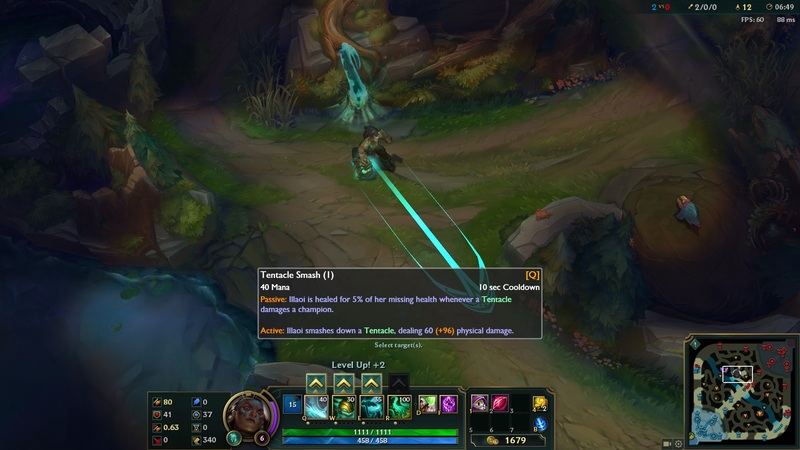 For her next basic attack, Illaoi leaps to her target dealing 15/35/55/75/95 (+1.1 total AD) physical damage. When she strikes, nearby Tentacles will also swing at the target. Illaoi calls on the power of her god to pull the Spirit from an enemy champion for 10 seconds. 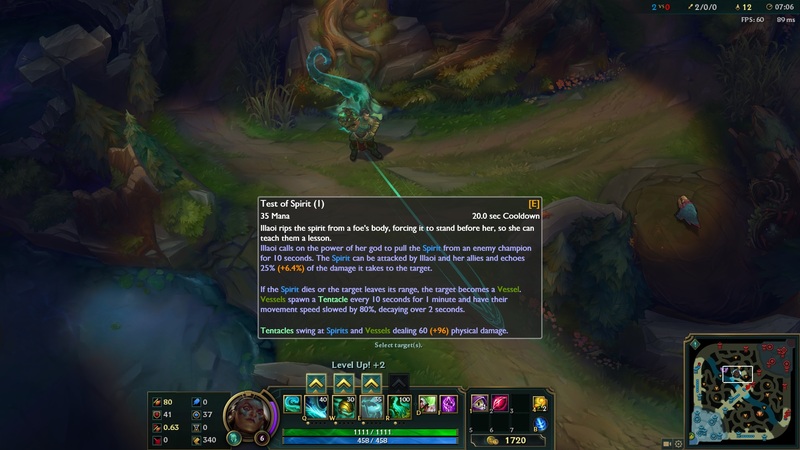 The Spirit can be attacked by Illaoi and her allies and echoes 25/30/35/40/45% (+.08 % total AD) of the damage it takes to the target. If the Spirit dies or the target leaves its range, the target becomes a Vessel. 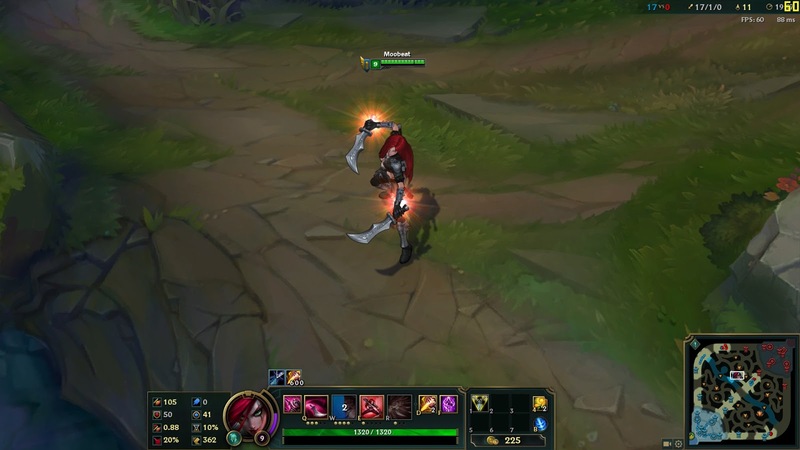 movement speed slowed by 80%, decaying over 2 seconds. Tentacles swing at Spirits and Vessels dealing [10 x level] (+1.2 - 1.6 total AD ratio based on Q) physical damage. Illaoi smashes her idol into the ground, dealing 150/250/350 (+ ,5 bonus AD) physical damage to nearby enemies. 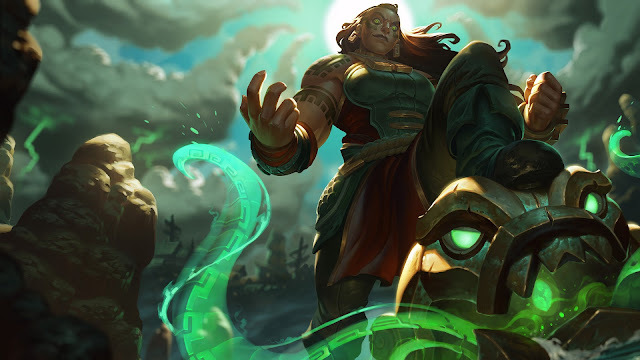 Here's Illaoi's voiceover, clocking in at just over 16 minutes of audio! 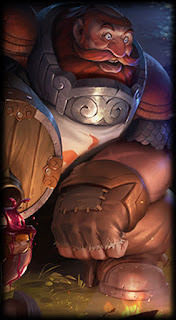 Peppered in are tons of unique item & champion interactions, brutal one liners, and a mix of Nagakabouros! 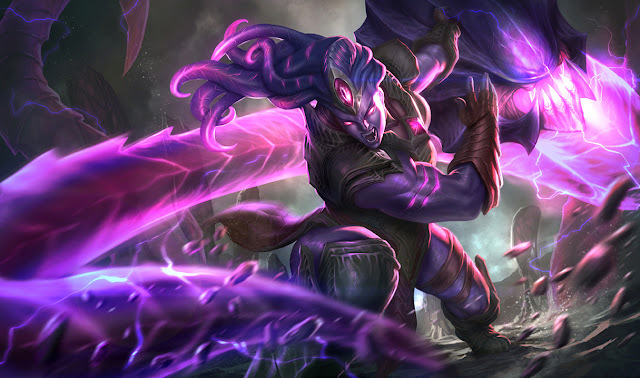 Up last for our new champion, we have Illaoi's release skin Void Bringer Illaoi! "Drive forward. It is destiny that calls you. 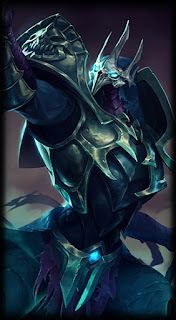 Unleash your inner void on the Rift with Void Bringer Illaoi! New model and textures for Illaoi, her relic and the tentacles! New sound effects for all of her skills! 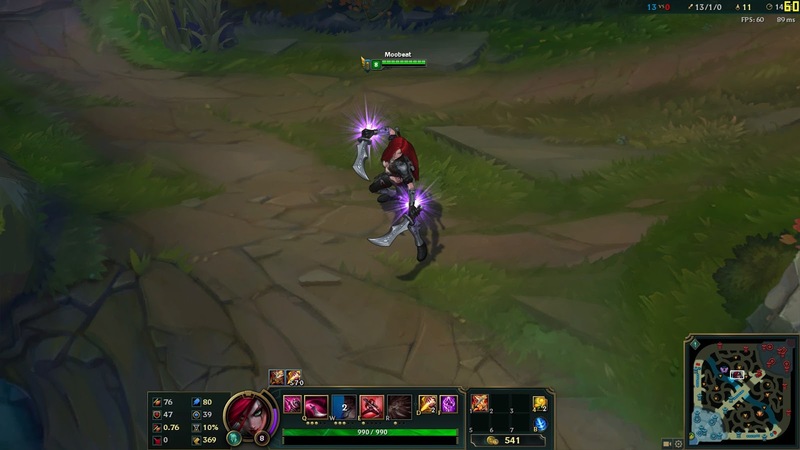 New recall animation where she conjures energy from her relic! 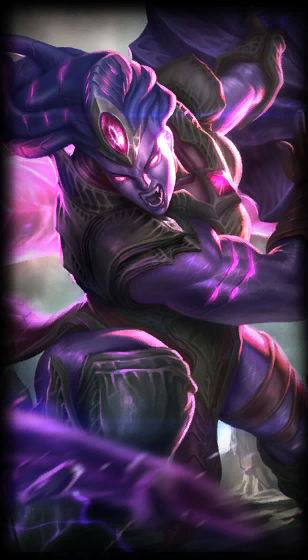 Void Bringer Illaoi is now available to play on PBE! Please note that PBE content is still a work in progress! We always find bug reports and feedback super helpful, as well as constructive feedback, so feel free to comment in the thread below! Likewise, if you’ve got any questions, post ‘em here, and we’ll do our best to answer them. 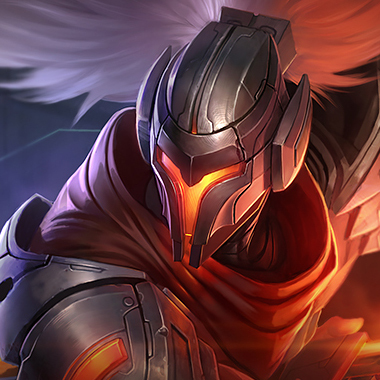 The 5.23 cycle also brings us a total of SEVEN new champion skins! 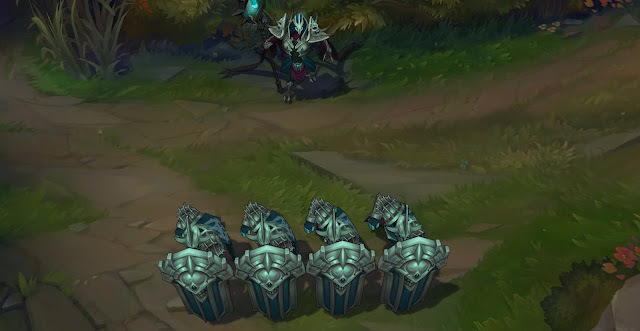 A legendary (1820 RP) Dragon Trainer Tristana skin, 1350 RP tier Gravelord Azir and Elderwood Hecarim skins, and 750 RP tier Braum Lionheart, Gragas Caskbreaker, Ryze Whitebeard, and Varus Swiftbolt skins. "Time to test your dragon! 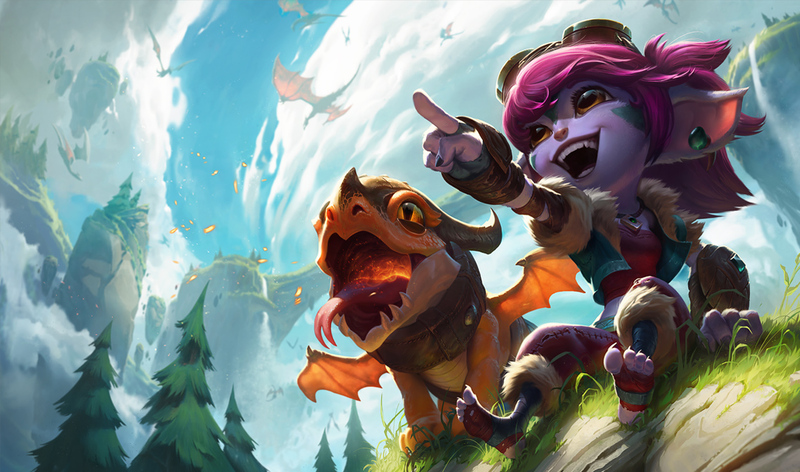 Dragon Trainer Tristana and her faithful companion Riggle are ready to show off their skills! New model and textures....and an entire dragon! All New VO and SFX! Your feedback and bug reports are extremely helpful to us, so please check out Dragon Trainer Tristana and let us know what you think! Feel free to drop any bugs you find in this thread as well! "Eventually, the sands claim us all. 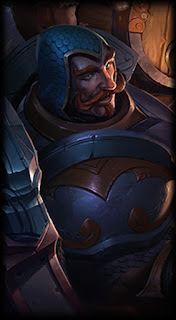 New model and textures for not only Azir, but his Sand Soldiers and Sun Disc, too! New sound effects for all of his skills! 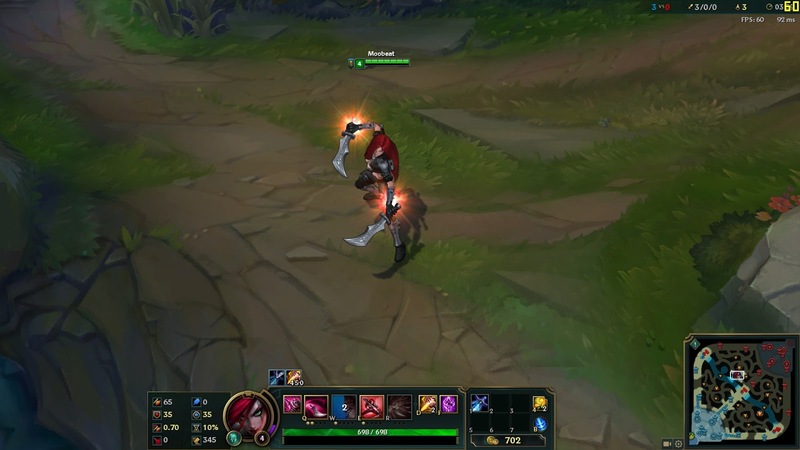 New recall animation where he calls forth the trapped spirits in his staff! 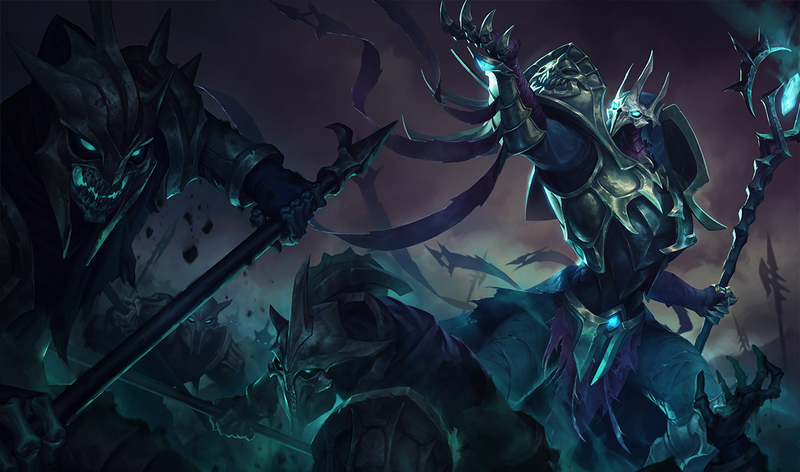 Gravelord Azir is now available to play on PBE! 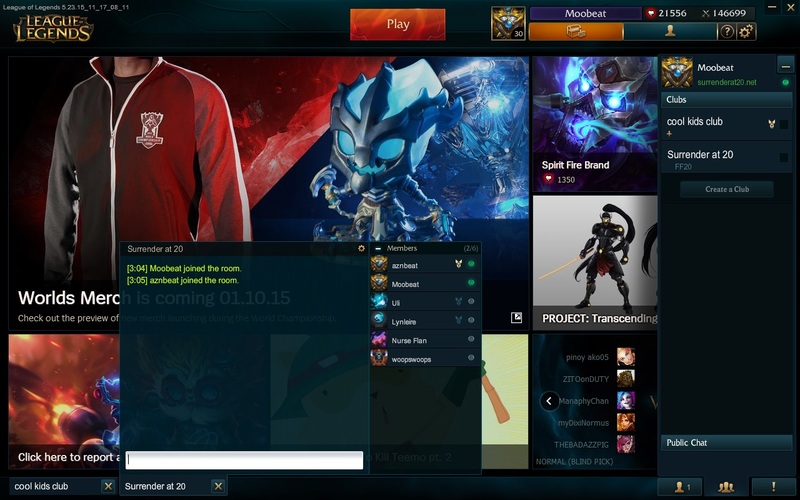 Please note that PBE content is still a work in progress! We always find bug reports and feedback super helpful, as well as constructive feedback, so feel free to comment in the thread below! Likewise, if you’ve got any questions, post ‘em here, and we’ll do our best to answer them. "Deep in the forest lives a being fused together by wood, rock and flora. 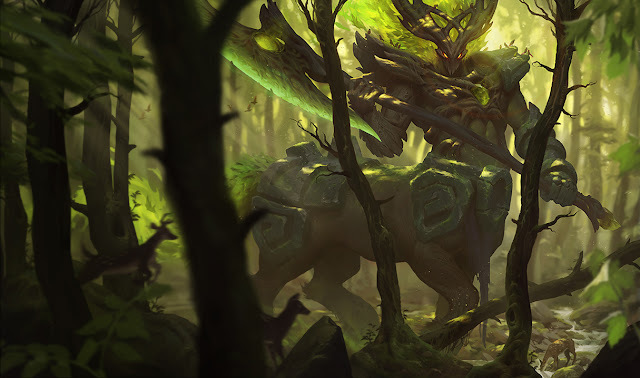 A mythical elder of nature that manifested as a giant guardian of the woods. Elderwood Hecarim is a creature rarely glimpsed on the Rift. "Exploring dungeons and fighting dragons are all part of the everyday lives of these merry band of men! 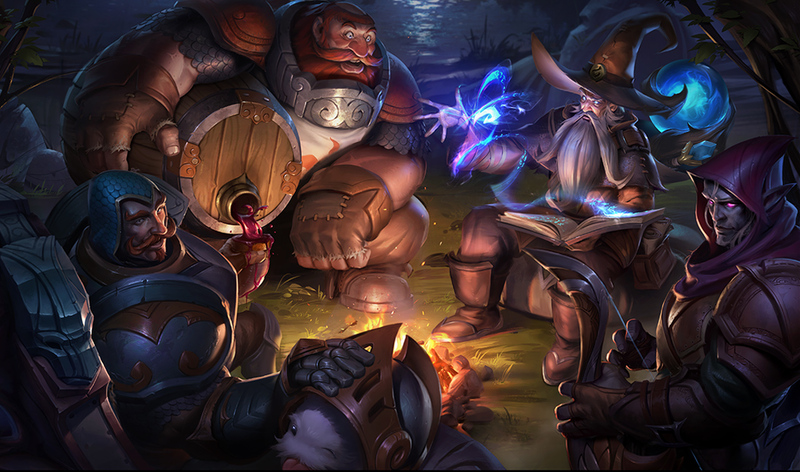 Join the group on their quest across Runeterra and pick up some sweet loot! QoL particle change for his barrel! 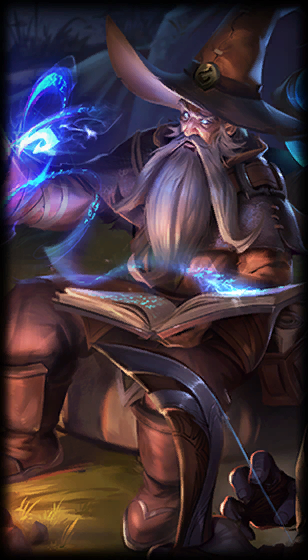 The orb and book will glow for his ult! 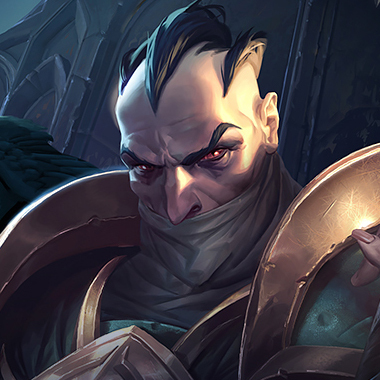 *his texture is currently broken when he kills a minion, we're working on the fix! 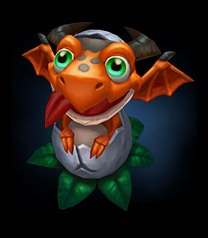 To go along with the new Dragon Trainer Tristana skin, we also have a new ward skin featuring her dragon Riggle! 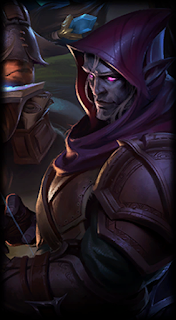 Two new ward skins have also been added for the upcoming ALL-STAR 2015 event!. There is one for each of the two teams, Team Fire and Team Ice. No release details on these yet but likely to release along with the ALL-STAR icons closer to the event starting on December 10th! Check out this post for more on the ALL-STAR 2015 event! Two new critter themed summoner icons have been added this cycle! As usual, no release or availability details yet! We also have an Illaoi login theme on the PBE! Rift Herald's spawn and death have been updated! Rift Herald now jumps out of a mysterious void portal on spawn and then dissolves back into it on death. 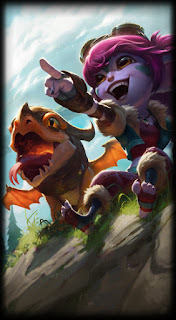 As previously mentioned, Corki's special delivery sounds have been adjusted. Just over 700 "Splash_Tile" assets were added in today's update. These are small square cut outs of each champion and skin. Not sure what these will be used for based on file destination. 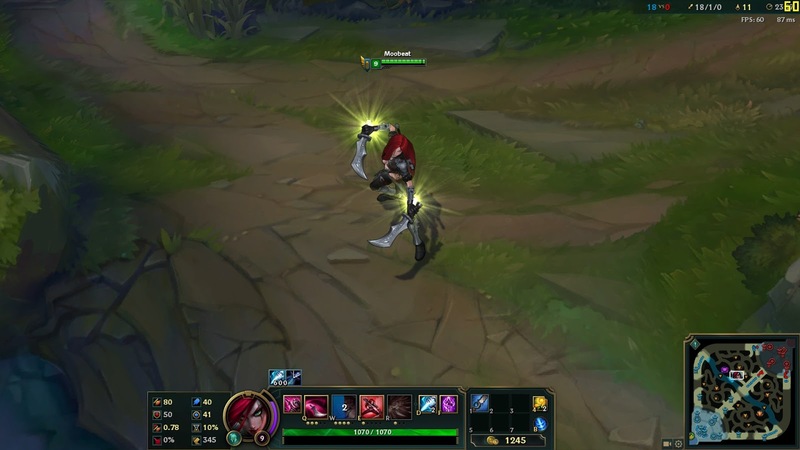 Looks like various mastery tooltips have been cleaned up, no effect changes. After 20 minutes in game, players now receive the Homeguard speed boost. The Homeguard Boot Enchantment has been removed. 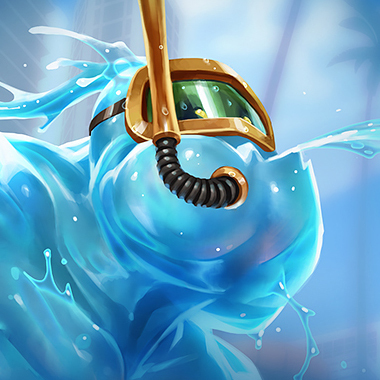 The "pushing advantage" changes to minions originally planned for 5.22 were pushed to 5.23! 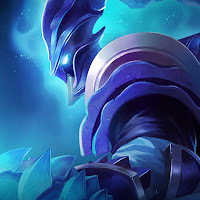 Experience gain from killing an enemy champion kill reduced slightly. "Mordekaiser's next three hits are empowered. The first two strikes deal 10/20/30/40/50 (.5/.6/.7/.8/.9 total AD) (.6 AP) bonus magic damage. 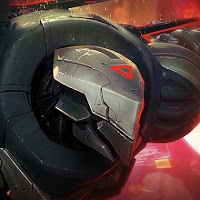 The final strike deals 2 time the bonus damage of the previous strikes, up to 20/40/60/80/100 (1/1.2/1.4/1.6/1.8 total AD (1.2 AP) ." Base damage changed to 25/55/85/115/145 from 20/45/70/95/120. 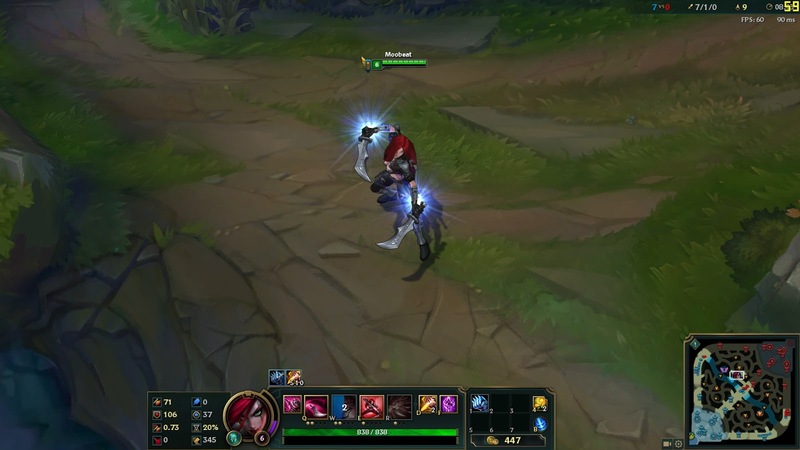 NEW EFFECT: If primary target is not a champion it cannot attack for 2 seconds. Missile speed increased to 1750 from 1500. Death Mark (R) detonation damage % increased to to 30/40/50% from 20/35/50%. The Homeguard Boot Enchantment has been removed. 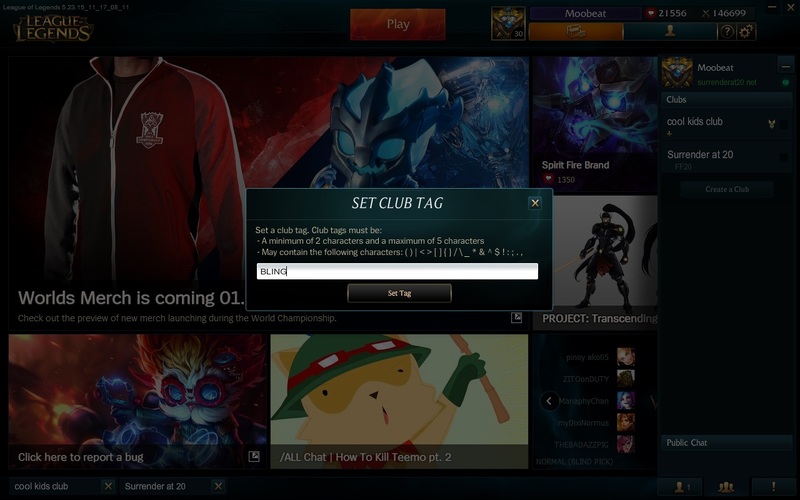 Players naturally receive this bonus after 20 minutes into the game. Now restores 125 Health over 12 seconds from 100 over 10. Now grants 200% base health regen if you are below 25% HP, up from 20% HP. Base HP increased to 4000 from 3500.